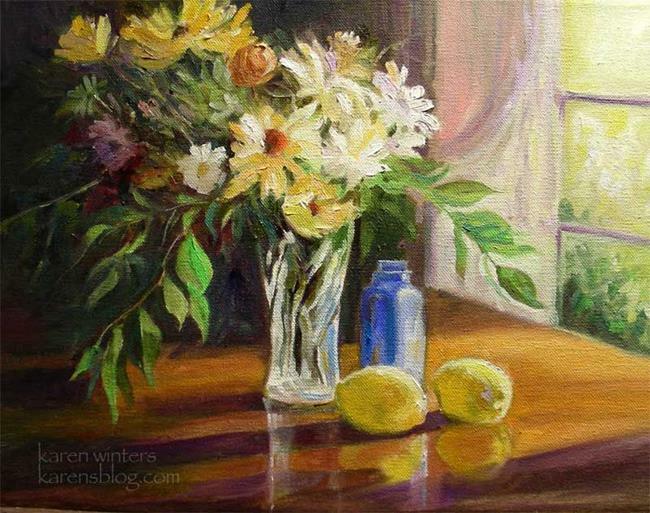 A still life of crystal, black eyed susans, white daisies, lemons, blue glass and sun through an open window in the afternoon. I placed the bright flowers against a dark background to increase the drama. The shadows are painted with violets and cool colors for interest next to the warm colored lemons. This painting looks stunning in a gold ornate frame.